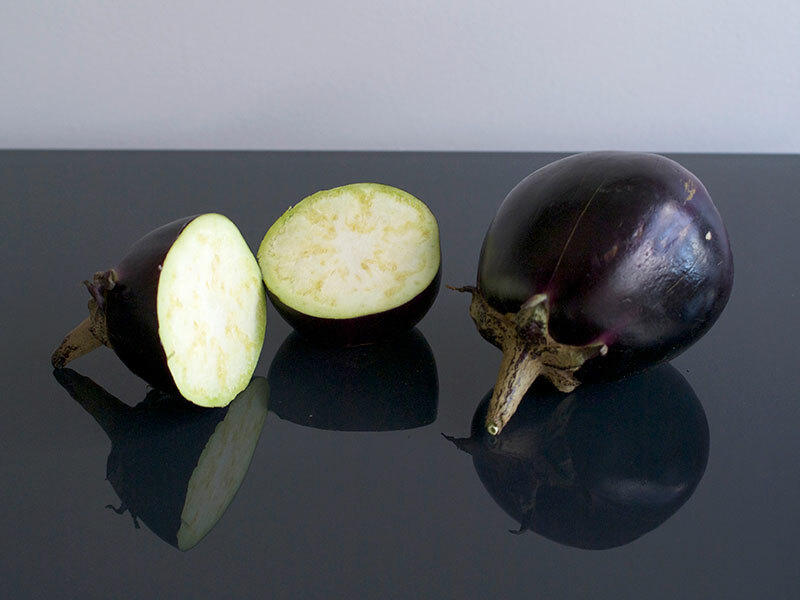 Kamo is an heirloom Japanese variety of Eggplant from the area of Kamo. It has a round ball shaped fruit and grows on a fairly short plant that seems to come into production quite quickly. It has dark green & purple tinged stems and a fairly large beautiful lurid purple flower. It seems to produce well in the first year and has a smooth creamy texture with little bitterness. And being spherical they have a lot of possible culinary uses. The fruit can get quite large but the ones shown here are about 85mmm and 65mm in diameter – which is about the ideal harvest range I think for flavour and texture maturity. They are quite hardy plants and seem to handle fairly average warm & cool weather OK unlike some of the eggplants that seem to demand constant heat and full sun to produce well. This one is well worth growing. 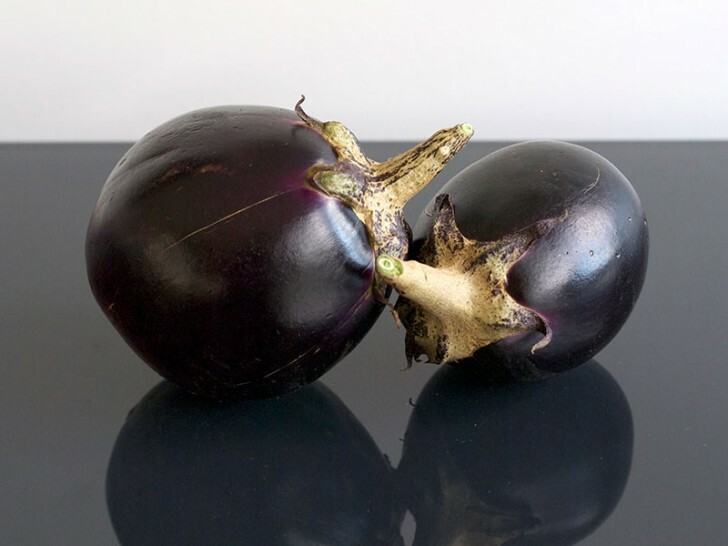 They seem to germinate and grow well – I have had very few losses from seed with this variety – unlike some other eggplants that are some times hard to get from seedling to mature plant.